Zambia, 1 kwacha, 1989. Two Taita falcons. Zambia, 1 kwacha, 1992. Two Taita falcons. Zambia, 2 ngwee. Martial eagle. Namibia, 1 dollar. Bataleur eagle. Papua New Guinea, 5 kina. New Guinea harpy eagle. São Tomé and Príncipe / St Thomas and Prince: 250 dobras. Peregrine falcon in a mango tree. Switzerland, 10 francs, 2008. Eagle. Ras-al-Khaima, 50 dirhams, 1970. A falcon. 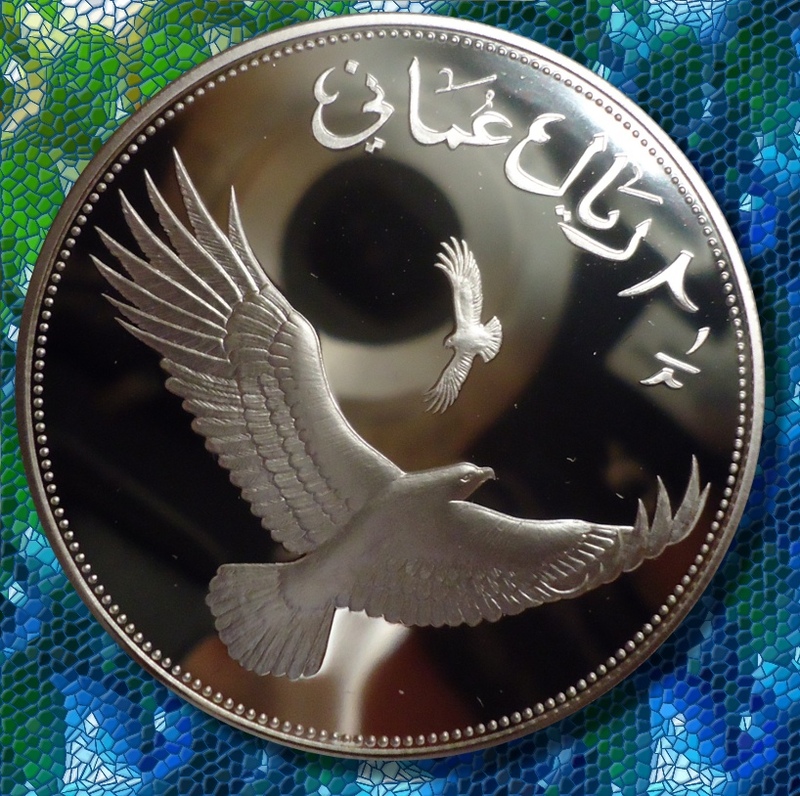 A collector coin from one of the United Arab Emirates. Zambia, 10 kwacha, 1979. Taita falcon. Solomon Islands, 1 dollar, 1998. Sea eagle. Mexico, 5 pesos, 2001. Harpy eagle. Fiji, 2 dollars, peregrine falcon. Açor (Acciper gentilis) - Northern goshawk. 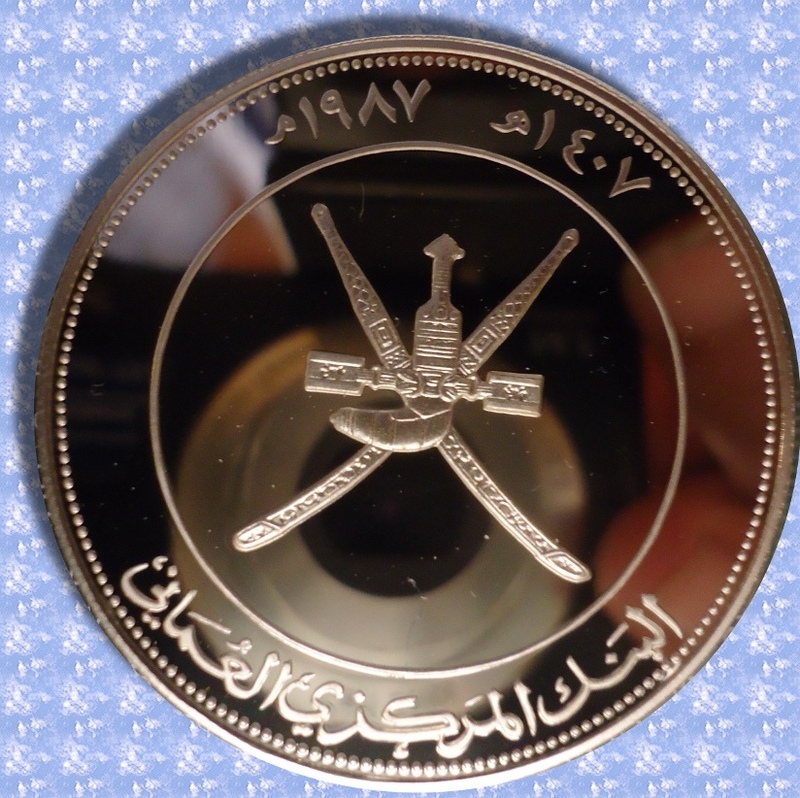 Oman, 2½ Rials, 1987. Verreaux's Eagle (Aquila verreauxii). Ethiopia, 10 birr, 1978. Bearded vulture. Singapore, 10 dollars, 1973. Eagle.